The International Journal of Soft Computing and Software Engineering (JSCSE) provides a forum for software engineering research that publishes empirical results that are relevant to both researchers and practitioners. JSCSE encourage researchers, practitioners, and developers to submit research papers reporting original research results, technology trend surveys, reviewing an area of research in software engineering and knowledge engineering and knowledge engineering, tools. The general topics covered by JSCSE usually involve the study on collection and analysis of data, model, methods, strategies and experiences that can be used to characterize, evaluate and reveal relationships between software development , practices, and technologies. 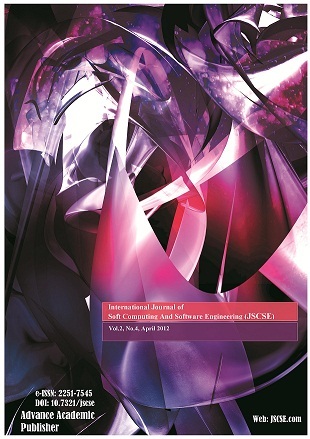 JSCSE is a refereed journal that promotes the publication of industry-relevant research, to address the significant gap between research and practice. There are at least two reviewers for reviewing each article.